[media-credit name=”ENC Graphic Services” align=”alignleft” width=”194″] [/media-credit]”Will Braddock, fifteen years old, continues as a hunter for his uncle’s survey team, as the transcontinental railroad builds across Wyoming in 1868. Paddy O’Hannigan, whose vendetta to kill Will, his uncle, and former black slave Homer Garcon, grows more sinister and involves the theft of nitroglycerine and an attempt to blow up presidential candidate Ulysses S. Grant. Will remains fascinated with Jenny McNabb, but it’s her sister Elspeth who will cause the biggest trouble for him as she becomes a part of a plot to steal from a German aristocrat whom Will is guiding on a hunting expedition. After a vicious bear attack, Elspeth falls into the clutches of Paddy O’Hannigan and Will must attempt to free her. Can he save Elspeth and perhaps rid the world of O’Hannigan at the same time? This story begins shortly after the events of the first book in this trilogy, Eagle Talons. All the characters that survived that first tale are back and Robert Lee Murphy introduces us to another neat mix of fictional and real people. Like the previous book, Murphy seamlessly blends historical fact and fiction into a fast paced read that will keep you wanting to turn the pages. The book is a series of different adventures linked by the people and the quest to build the transcontinental railroad. As well as edge-of-seat action scenes, there are also lighter moments too, such as the growing teenage romance between Will and Jenny. And it’s not just Will who could be finding love, his friend Lone Eagle succumbs too, bringing some happiness into his life after the heartache of losing his father, Bullfrog Charlie Munro. The final part of the story, which sees Will guiding Count von Schroeder in a quest to kill a white buffalo presents a dangerous set of problems for Will, for the shooting of this animal will bring the wrath of the Shoshone down on them and creates some tense reading. Take time to read recent reviews he has provided on other new books. 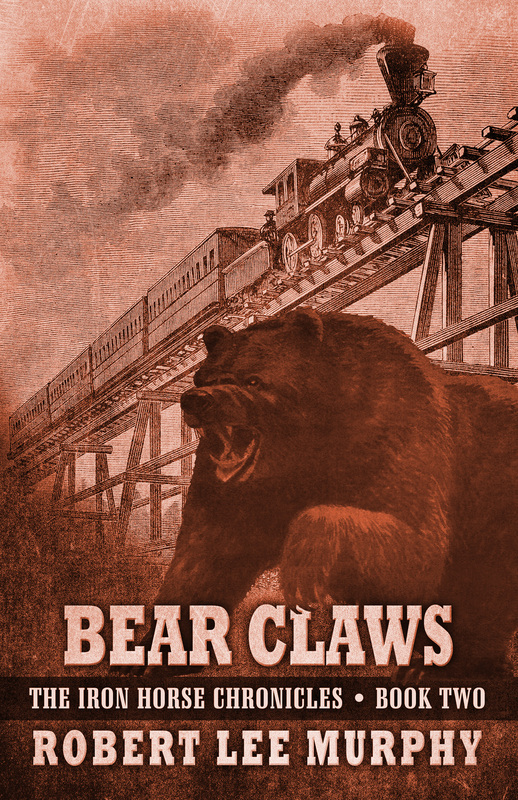 This entry was posted in Bear Claws - Book Two, Book Review, Eagle Talons - Book One, Indians, Iron Horse Chronicles' Characters, The Iron Horse Chronicles, Transcontinental Railroad and tagged Adventure Fiction, Bear Claws, Eagle Talons, Fictional Character, First Transcontinental Railroad, Five Star Publishing, Frontier Fiction, Historical Fiction, Lone Eagle, Middle Grade Fiction, Pioneer Life, Teen Fiction, The Iron Horse Chronicles, Western Fiction, Westward Expansion (1867-1869), Will Braddock, Young Readers. Bookmark the permalink. Another review feather in your literary cap, Robert! Many congrats!